I noticed some surveyors this morning at Harrison and Clark and that the existing pavement markings had been ground off. 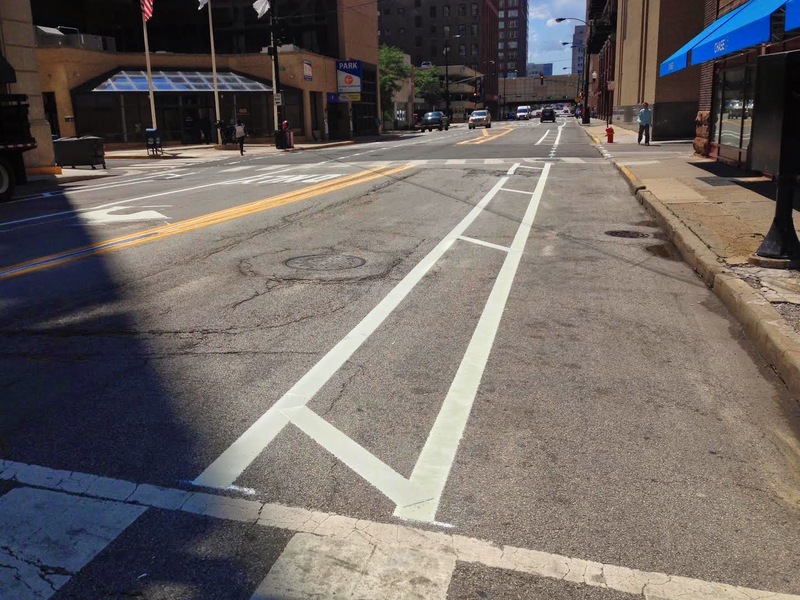 This afternoon they painted new bike only lanes in each direction west of Dearborn. Now to see how long before they do another round of utility work and mess up the road again. Well at least the repainted the bike lanes - which definitely doesn't seem to happen everytime.